The below commentary contains spoilers. 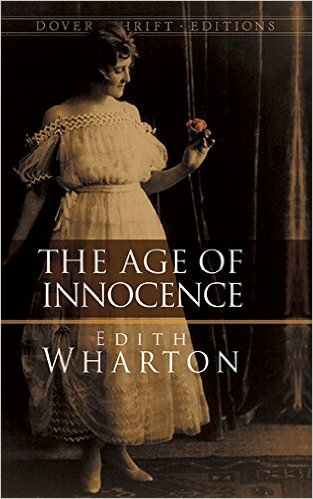 The Age of Innocence by Edith Wharton is set in upper class New York City during the 1870s. It is an exploration of society, morals, character, conventionality and conformity. Newland Archer is a young man who is a free thinker and a member of New York’s elite. He is a lover of art and literature. He questions society’s conventions and is even critical of oppressive gender-based expectations. He has a dynamic mind and personality, and he yearns for more than what New York society is offering him. The book opens with his engagement to May Welland. Coinciding with the engagement is the return of Countess Ellen Olenska to New York society. Ellen is a woman fleeing Europe where she was involved in an emotionally abusive marriage. The Countess is a person of depth and substance. As the narrative progresses the attraction between her and Newland becomes increasingly apparent. Ellen is a complex and brilliantly drawn character. She is a nonconformist who is ethical and who displays an almost passive stoicism towards things that she cannot change. The pair’s esteem for one another grows and grows until finally, before his marriage to May, Newland reveals his love to Ellen. Though it becomes apparent that she also loves Newland, Ellen rebuffs his offer for complex reasons, but partially because it would be unfair and detrimental to May. Newland goes on to marry May but continues to be obsessed with Ellen. He eventually becomes bored and angry with May’s conventionality and becomes depressed at the prospect of a long life with her. He continues to attempt to connect with Ellen and eventually begins planning to run away with her. However, he is ultimately rebuffed by Ellen for ethical reasons. In the end, his efforts at freeing himself from society by running off with Ellen prove to be fruitless. The tragedy here is that due to social obligations, Ellen and Newland can never be together. This book is essentially a protest against the conventionality and dishonesty inherent in society as well as the smothering restrictions that these things place upon people. If this was all that there was to it, this book would be a brilliant character study as well as a critique about the confining nature of society and conventionality. I think that there is something else that is at least of moderate importance going on in this novel. There is a counterpoint playing alongside Ellen and Newland’s relationship. It would have been easy and natural if Wharton had portrayed May as completely vacuous or malicious, but she is not. I get the sense that Newland is underestimating her in some ways. Though she is no rebel or free thinker and possesses multiple flaws, May shows some surprising emotional intelligence. Before their marriage, suspecting that Newland is infatuated with someone else, she offers to free him. This is an offer that Newland does not take. Later, she shows much tenderness toward Newland. After her death, he finds out that she understood a surprising amount of things about him in ways that he never suspected. It turns out that she empathized with some of his pain. Though she does scheme to keep Newland and Ellen apart, can a wife, especially one living within the society depicted in this book, be blamed for such actions? A perceptive reader cannot help but sympathize with her just a little. I also do not think that Newland’s behavior can be viewed as completely virtuous. May gives him an escape before marriage, but he goes ahead and marries her anyway. After the marriage, he continues his obsession and pursuit of Ellen. At one point, he is prepared to abandon May and run off with Ellen. Looking at May with some empathy and at Newland’s behavior with a critical eye adds new dimensions to this work. I am not claiming that this novel is not a cry against conventionality and the shallowness of society, but perhaps Wharton is saying that such rebellion imposes a cost to the rebels as well as to innocents. A lesser writer would have made May less sympathetic. Newland’s actions would have seemed a little more justified. By endowing her with virtues, Wharton is adding levels of complexities to this book. All this might muddle the theme a bit, but it raises the aesthetic quality of this book by several notches. This is a fantastic novel. The characters are complex and a joy to read about. The plot is engaging. The writing is superb. Had the plot and characters been more simplistic, this still would have been a very worthy read, but by adding additional nuance, Wharton has fashioned a brilliant novel. I highly recommend this work to anyone who generally likes novels of this type. Some of the statistics on eating disorders included in the original version of this book were criticized as being inaccurate. Wolfe has acknowledged the inaccuracies and the version of the book that I read includes the corrected data. Naomi Wolf is an author and commentator. Over the years, she has weighed in on all sorts of political and social issues. She is also a former adviser to President Bill Clinton and Vice President Al Gore. In this work, Wolf builds a complex and nuanced argument, supported by many pages of data and examples, as well as philosophical musings. First, she argues that modern society has created a false image of feminine beauty. This image is restrictive. Beauty is not only subjective, but the vast majority of men and women view sensual beauty as a much larger spectrum than that which is being fed to the public. Wolf argues that women in particular and society as whole have been programed and thus have become obsessed with this false image of beauty. I find that Wolf’s arguments on this matter are very convincing and I am in strong agreement with her here. 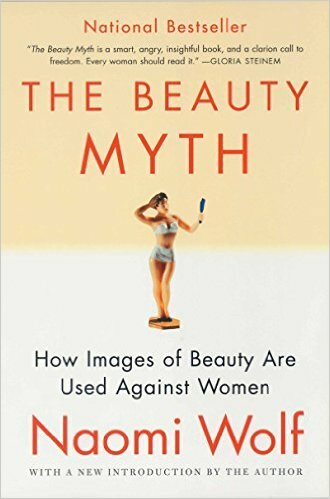 The author’s next contention is that this Beauty Myth, and society’s obsession with it, is extremely detrimental and oppressive towards women. In chapter after chapter, Wolf lays out a case of how women are harmed by this myth. Not only does it narrowly and falsely define beauty and sensuality, but it forces women into a no win situation as they attempt to adhere to this myth in a supposed attempt to reach success in multiple facets of life. She explores its economic, legal, social, physical, psychological and emotional (In the area of emotion, she argues that men have been oppressed, too) effects upon women. Wolf gets into a lot of detail here as she explains both the expected and the unexpected ways that this phenomenon has been an encumbrance upon women. Though I do not agree with all her arguments, when it comes to the big picture, Wolf presents a very convicting case here. The information that she provides is intricate, and some of her philosophical musings are complex and difficult to convey in a single blog post. In one example, she illustrates how the legal system has allowed all sorts of employers to discriminate against women based upon their appearance and presumed attractiveness. I have taken several business law and human resource related classes, and I was already familiar with some of the cases that are presented here. I agree the results were outrageous and harmful to society. "But with the apparition of numbers of men moving into passionate, sexual love of real women, serious money and authority could defect to join forces with the opposition. Such love would be a political upheaval more radical than the Russian Revolution and more destabilizing to the balance of world power than the end of the nuclear age. It would be the downfall of civilization as we know it— that is, of male dominance; and for heterosexual love, the beginning of the beginning." In terms of these ultimate conclusions, I think that sexism is very complicated. While a more inclusive and less obsessive societal view of beauty and sensuality would be very beneficial to men and women, I think that the barrier that Wolf sees between the sexes in terms of heterosexual love is exaggerated. This ‘joining of forces’ to overthrow male dominance seems farfetched. There are other factors aside from The Beauty Myth driving sexism and misogyny that need to be addressed separately. I believe that society addressing these issues and that positive change will continue, but at an evolutionary, not revolutionary pace. This book contains a lot of ideas. There are other arguments that I disagree with. In particular, I found Wolf’s comparison between Nazi medical experiments and the modern cosmetic surgical industry to be untenable and ill-considered. “what I support in this book is a woman’s right to choose what she wants to look like and what she wants to be, rather than obeying what market forces and a multibillion-dollar advertising industry dictate"
Though The Beauty Myth is more than twenty years old, I should note that it has been somewhat updated by the more recent introduction included in my edition as well as by Wolf’s 2011 essay, A Wrinkle in Time, which is available all over the Internet. Though parts of the book still seem a little dated, the bulk of it, as well as its main contentions, still seem to be relevant. Despite my quibbles with some of her points, I find most of Wolf’s arguments moderate and reasonable. As I outlined above, I am in agreement with her on the majority of her points. This book is bursting with insights and important points. I have only scratched the surface in terms of Wolf’s arguments, and the detail in which she makes them. This book delves into the nuts and bolts of our culture and how we view and deal with gender and sensuality. Thus, this is an important book for both women and men to read. 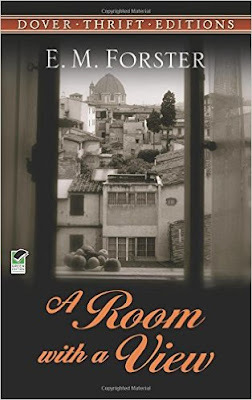 A Room with a View by E.M. Forster is the story of Lucy Honeychurch. Like other works that I have read from Forster, this is a story about people striving for and struggling to make human connections. Having previously read both a Passage to India and Howards End, I found a lot of parallels in this book. Lucy is full of life and beginning to appreciate the diversity inherent in the world and in people. The novel opens in Florence, Italy, where she and her friend Charlotte Bartlett are visiting as tourists. There she encounters a host of other English travelers and expatriates. Among them are Mr. Emerson and his son George Emerson. The older of the men is intelligent, dynamic and empathetic, but in the terminology of our present day, he would be called verbally unfiltered. He speaks what is on his mind to the consternation of the book’s more conservative characters. Thus, he is often a driver of major and minor events. George is moody and depressed but is also philosophical. Eventually Lucy and George become attracted to one another. Though she will not admit it to herself, the pair falls in love. Socially, it seems that the two would make an unacceptable couple due to the Emersons’ odd nature. Thus, Lucy flees Florence in an attempt to get away from George. Later in the narrative, Lucy returns home to England. Lucy becomes engaged to Cecil Vyse, a man who is cultured and who is a lover of art and literature. Unfortunately, Cecil is also priggish and stifling to Lucy. When George moves into the same neighborhood that Lucy lives in, complications ensue. Like Forster’s A Passage to India, but to a much lesser degree, this novel contains several transcendental moments for the characters. These moments revolve around the common theme of understanding a certain meaningless to life and an ensuing leap to find meaning. However, unlike A Passage to India, which contained in depth metaphysical musings, this work only touched upon such higher intellectualizing. My commentary on that novel is here. My opinion in regards to A Room with a View is that it presents a lot of ideas that were present in Howards End as well as in A Passage to India, but that they are less developed here. I remember that those books contained more sophisticated musings relating to several themes, including Forster’s favorite, the value and difficulty in striving for human connections. Like I often do, I would like to devote a few words to a particularly interesting and insightful, but fairly minor, point in the narrative. After a talk with George, Lucy comes to understand that Cecil is boorish, cold and a terrible match for her. She decides to break off the engagement. "…I fell to pieces the very first day we were engaged. I behaved like a cad... You are even greater than I thought." …"I'm not going to worry you. You are far too good to me. I shall never forget your insight; and, dear, I only blame you for this: you might have warned me in the early stages, before you felt you wouldn't marry me, and so have given me a chance to improve. I have never known you till this evening. I have just used you as a peg for my silly notions of what a woman should be. But this evening you are a different person: new thoughts— even a new voice—"
Nothing like this came from Cecil earlier in text. However, it is apparent that Lucy never voiced criticism of his behavior before. It seems that Forster is illustrating the tragedy of missed opportunity here. It is not at all clear that Cecil would be capable of change, and even if he were, Lucy is in love with George. However, I think that Forster is leaving open the possibility that he might have gained by constructive criticism. The author never depicts connections as easy, and folks attempting to connect and understand what is different often run into all kinds of trouble, as is illustrated in this failed relationship. All of this adds so much complexity and nuance to this work. This is a very worthwhile book. The themes, of which I have only scratched the surface of above, are intriguing. Several of the characters, including Lucy and the Emersons, are well crafted, complex and interesting. The story is compelling. Though perhaps a little less far along in terms of developed themes than Forster’s later novels. This is an entertaining and very compelling book. The term “identity politics” has become a dirty phrase in some quarters. At the same time, there are many people who embrace the concept. Though initially the connection may seem a little farfetched, I have of late been thinking about how this phenomenon, in part, stems from the thinking of America’s founders, particularly, James Madison. First, I think it is important to clearly state what I mean by “identity politics” since the term has different meanings for different people. For the purposes of this post, I am defining the phrase “identity politics” to be the advocacy of political and social agendas that pertain to specific groups, such as African Americans, gays, transgender people, women, etc. In addition, regardless of how folks feel about their motives and intents, I would also include groups that now claim to be advocating for so-called privileged or dominant groups, such as white people or men. There has always been, as there is now, a backlash against identity politics. While some of this backlash, particularly in today’s social media, is nothing but racism, homophobia, misogyny, etc., there are legitimate arguments against the existence of these movements based upon groups. The somewhat popular cry, “Egalitarianism, not feminism” is but one example that I am very familiar with. There are also folks who do not object to the existence of such advocacy groups in principle, but who are extremely critical of specific aspects of these movements. Furthermore, there are conflicts that have arisen between various movements. The arguments against identity politics are numerous and popular. Critics point out that such movements divide, instead of unite, people. Often, an argument is presented that it is better to work on good policies and beneficial social change, regardless of the needs of specific groups. Others point out that identity politics has fostered some terrible ideas that are harmful to society or to competing groups. What does all this have to do with James Madison? Surprisingly, the philosophy and actions of this American founder were intimately related to these issues. Furthermore, as the “father of the American Constitution,” Madison was one of the architects of modern societies that foster such movements. I would be remiss if I did not point out that Madison did not have in mind the diverse ethnic, gender-based and lifestyle-based groups that exist in the twenty-first century. He was instead confronted with a world where various economic and religious interests competed with one another. Thus, there are differences in regards to the nature of the “interests” that Madison was talking about and some of today’s advocacy. However, the same dynamics as to how these groups advocate for their interests and compete with one another apply now as they did then. Washington’s view of an America without strong factionalism did not prevail, and Madison’s idea that multiple interest groups competing for influence became a permanent fixture in American society as well as in the societies of democracies. I would argue that history has shown that Madison was exactly right. All sorts of societal improvements, including those relating to human rights and justice, have thrived because individual interest groups have advocated for their interests while in competition with other interest groups. These groupings allow people to organize around very good ideas and effectively promote change. Often these interest groups are based on race, ethnicity, gender, etc. There is, of course, a downside. Sometimes, these social justice movements push for ideas and policies that are not beneficial. These groups sometimes advocate for things that are detrimental to society as well as to other groups. Extremists and other forms of excess often drive the agenda of such groups. As someone who follows both social and political issues, I agree that many of these groups, such as feminists, antiracist groups, etc., at times foster some very ill-founded ideas that would be very bad for society. Frankly, some ideas that are coming out of movements that are based on such politics are downright awful and are in fact racist or sexist against other groups. This however, was certainly true of the factions that existed in Madison's time. This is why it is important that competing groups, as well as general conservative critics, exist to keep excesses in check. Advocating for a vague notion of “equality” or “egalitarianism” rarely, if ever, has yielded results. The absence of interest groups means a lot less organization. Without such organization, change is nearly impossible. Furthermore, there are honest disagreements as to what is beneficial and just. If all that there was were millions of individuals expressing their views on equality and justice, with no coherent unifying themes, change would be nearly impossible, as would the coherent criticism of bad ideas. American examples of the benefit of these groupings abound. The abolition of slavery, the end of Jim Crow, equality for women and marriage equality are just some examples of social progress driven by these groups. In my opinion, history has shown that, in the long run, the best ideas win out in free societies. I like the term ‘marketplace of Ideas”.The proliferation of interest groups, as well as groups organized to counter these groups, are what makes up the marketplace. 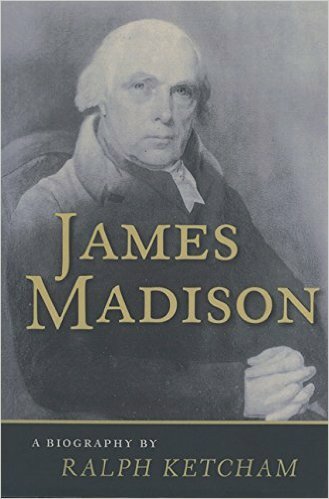 Madison is often called the Father of the American Constitution. Indeed, he had more influence in the composition of the final document than anyone else. In its balance of powers and elected representation, he helped create a government in which such a society that is characterized by competing groups will thrive. Madison seemed to understand this formula so well. Though he would likely be baffled and astonished by today’s debates on social issues, he was, ironically, one of the architects of the system of discourse and debate that characterizes so much of our modern society. I would argue that the great social progress that Western Society has experienced over the past 150 years has been the result of this competition between interests that Madison both created and foresaw. Babbling Books is four years old today! When I started out, I had only a vague idea of where this blog would go. Four years later, I find myself very satisfied with the direction that my site has taken. I am also very happy about the fact that I am interacting with all sorts of bright and interesting bookish people. Thus, my first order of business, as I have done on past anniversaries, is to express appreciation the wonderful blogging community with whom I regularly interact. I have met so many interesting and intelligent fellow bloggers. I must thank all of those who have commented on Babbling Books over the years. Contemplating the past four years, I am struck by how much about blogging has improved the way that I think. I touch upon all sorts of social, political, scientific and other subjects in my posts. I have always thought a lot about these subjects and have held lots of opinions on them. Putting my thoughts about these topics into words has done so much to refine my outlook. Writing about these matters has made me think even more deeply about them. Thinking in such detail has helped me to understand the nuances and complexities that I otherwise might have missed. It has also made me more likely to contemplate competing ideas. As an added bonus, I now have a permanent and ongoing record of my thoughts on these various subjects. As 2016 begins, I am looking forward to another year of sharing my thoughts on engaging books and concepts. I am also looking forward to more fruitful interactions with the bookish folk of the Internet.